Classic East Carolina barbecue sauce is usually thin and runny, not the thick kind you would buy in a bottle. This is so the sauce can soak into the meat. A basic recipe might include vinegar, margarine, Worcestershire sauce, salt, pepper, and lemon. 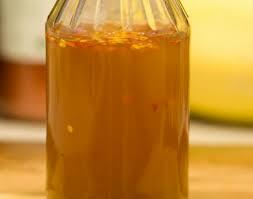 A little honey could be added to sweeten the sauce if so desired. If you don’t have any honey, brown sugar or molasses could be used. To make the sauce a little spicier a little bit of cayenne pepper can be added to the mix. 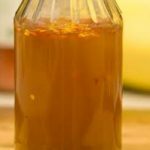 Sometimes white vinegar is added along with the cider vinegar. The following recipe is a simple one that can be adjusted to suit each individual’s taste. Melt the butter in a pan. Add the Worcestershire sauce, honey, pepper, and salt. Bring to a boil then remove from the heat. Stir in the vinegar and let the mixture cool. For those who like their mixture a little thicker, use a whisk and add a tablespoon of flour. Some recipes suggest letting the mixture rest in the refrigerator a day before it will be used. Once you’ve made your sauce learning to use it is the next step to preparing delicious barbecue. The whole hog is usually cooked between 12 and 18 hours over low heat that is kept between 250 and 300 degrees. This is so the meat will be completely cooked without drying out. It’s important to make sure there’s not any pink and the meat is cooked completely through. Sauce is usually not applied during cooking. A separate vinegar “mixture” can be used to keep the meat hydrated, but not for flavoring. When the pork is done it’s usually pulled into pieces or strips into a large pan. Sometimes a cleaver is used and it’s chopped. After it’s been pulled or chopped, the pork is then dressed with the sauce.